Hart is a “Safety First” Company protecting the health and safety of our employees, colleagues, the general public, and the environment. Every job we do is done with health, safety and the environment as our #1 priority. We are constantly checking our procedures and looking for ways to do things more efficiently and safely. Hart’s goal on every job is to provide problem free service for our customers and we are dedicated to the implementation of a strong Health, Safety & Environmental program that supports and exceeds all industry and governmental regulations. In addition, employees at every level are committed to the execution of work in a professional, safe manner. Hart’s internal company policy which guides all its operations. Indicates that Hart has developed and implemented an occupational health and safety program and has met the standard for Partnerships through an evaluation of their health and safety program. The Partners in Injury Reduction (PIR) program encourages the development of effective workplace health, safety and disability management programs. The program offers Workers’ Compensation Board (WCB) premium incentives to employers who reduce their claim costs below predicted targets. The primary document certifying Hart has developed implemented and audited a Health & Safety management system which is kept in good standing year to year. A COR certificate is a pre-requisite for most companies to do business with oil and gas producers. 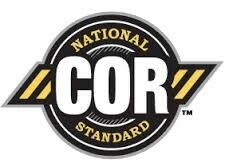 Hart achieved a 93% performance rating in its most recent COR audit. 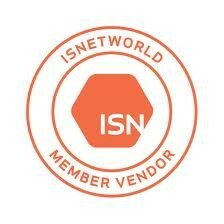 Hart is a member of ISNetworld. Hart uses ISNetworld to provide customers with the most up-to-date prequalification information on Hart. This information includes our provincial Certificate of Recognition (COR), Workers Compensation Board (WCB) clearance letters, Certificate of Insurance, Health and Safety Policy, and Environmental Policy. ISNetworld is the global resource for connecting oil and gas producers with safe, reliable contractors/suppliers such as Hart. ISN collects self-reported conformance information from Hart, verifies its accuracy, and then reports the results in an easy-to-follow format. This allows oil and gas producers to select those resources that best meet internal and governmental requirements, while providing Hart the opportunity to centralize its conformance information, saving time for customers and gaining presence in the marketplace. Hart is a member of ComplyWorks. Hart uses ComplyWorks to provide customers with the most up-to-date prequalification information on Hart. This information includes our provincial Certificate of Recognition (COR), Workers Compensation Board (WCB) clearance letters, Certificate of Insurance, Health and Safety Policy, and Environmental Policy. ComplyWorks is a global leader in providing compliance management solutions to help oil and gas producers streamline contractor and supplier management and supply chain processes. ComplyWorks solutions automate the collection and monitoring of relevant data for specific job sites and regions, and provide that data to decision makers as actionable intelligence. The results are stronger employer/contractor and supplier/employee relationships, better risk mitigation, and improved health, safety, security, environmental, financial and other indicators. To be the recognized leader and “go to” provider for well-site infrastructure and services in the geographic areas in which we operate by focusing on our customers, safety, employees, growth, innovations and efficiency. To provide prompt, professional and safety orientated services. To support the community in which we operate. To properly train our employees to the highest level of satisfaction.